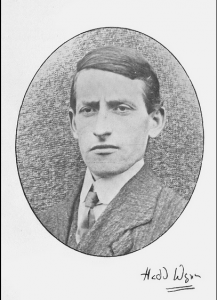 Ellis Humphrey Evans is perhaps better known by his bardic name, Hedd Wyn. 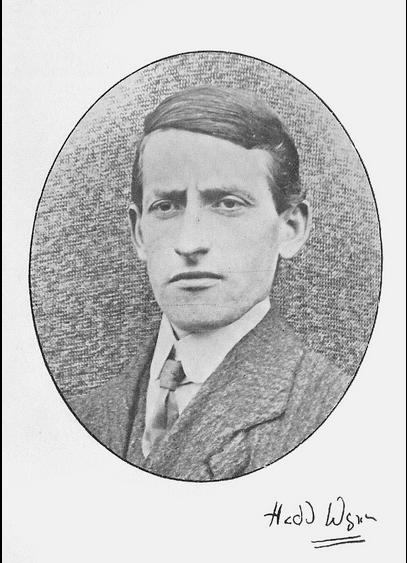 He was a gifted poet and had competed in many local eisteddfodau under the pseudonym HeddWyn. 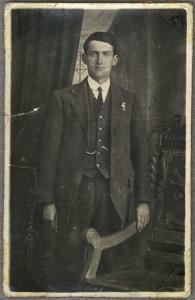 He won his first eisteddfod chair in Bala in 1907. 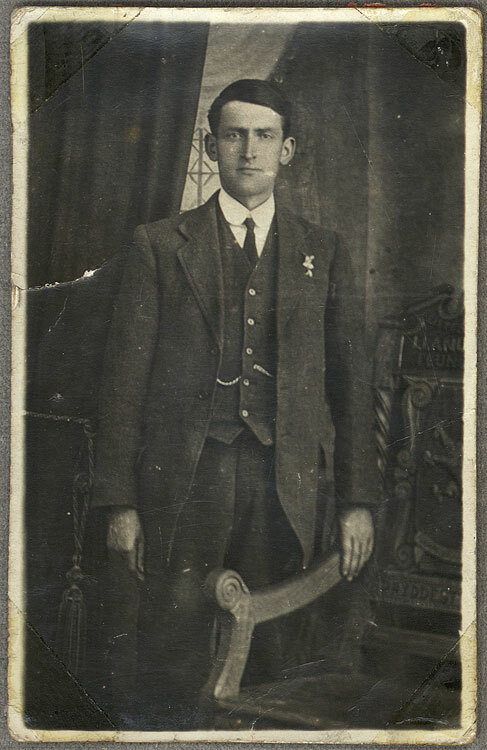 He was posthumously awarded the bardic chair on 6 September at the 1917 National Eisteddfod in Birkenhead, near Liverpool - under the pseudonym 'Fleur-de-lis' - following his death in the Third Battle of Ypres (also known as Passchendaele) six weeks previously. The winning awdl (or ode) was called ‘Yr Arwr’, or ‘The Hero’, and was completed while he was serving with the Royal Welch Fusiliers in France. During the ceremony, the empty chair, which was made by a craftsman from Flanders, was draped in a black sheet. The Eisteddfod is now more commonly known as ‘The Eisteddfod of the Black Chair’. The chair still resides at the family home in Yr Ysgwrn, Trawsfynydd. Passchendaele (Third Battle of Ypres) - Find out more about the battle and the Welshmen who served.